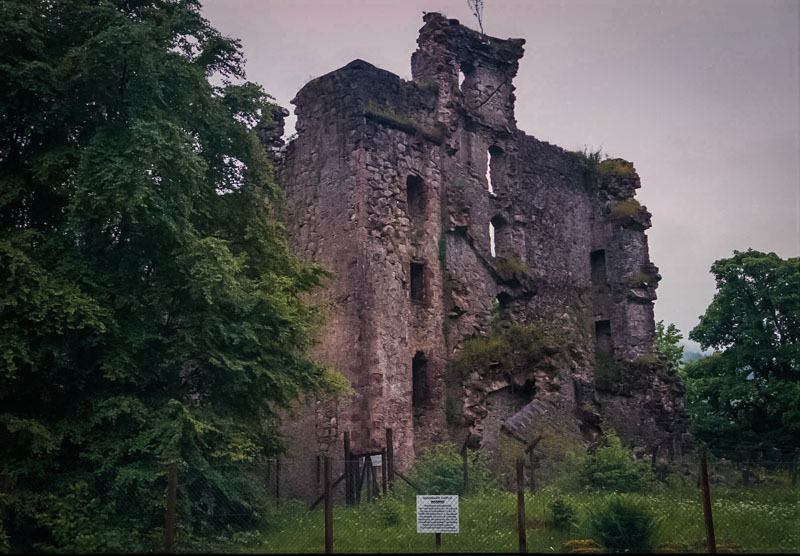 Invergarry Castle, now a dangerous and crumbling ruin, was built by the MacDonalds of Glengarry after raids by the Mackenzies in 1602. It was burned in 1654 by Monck, but restored. It’s changed hande many times since then. In 1688, Alastair Macdonald fortified it for James VII, but eventually supported the government of William and Mary. It was retaken by Alasdair Dubh in 1715 and then recaptured by Hanoverian forces in 1716. By 1731, the Macdonalds had it again and was visited by Bonnie Prince Charlie in 1745-6. It was burned after his visit and remained uninhabited. A new mansion was built nearby, which is the site of the Glengarry Castle Hotel — another very nice country house hotel. 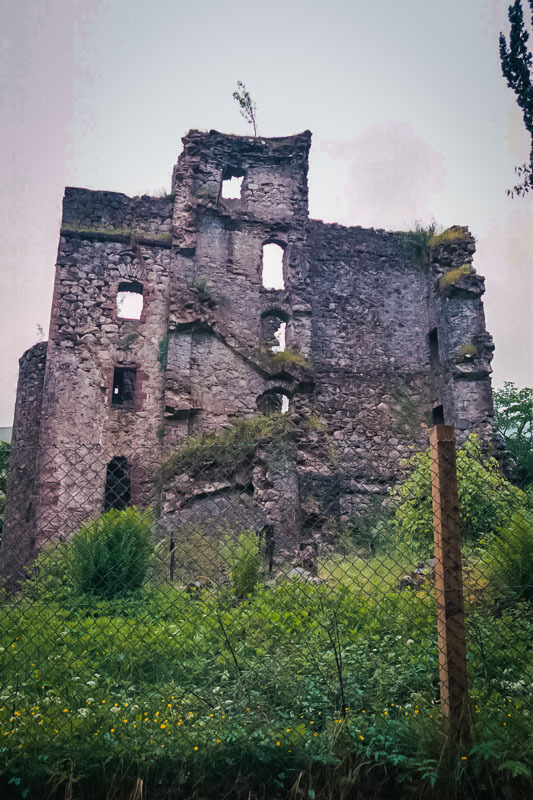 The castle is a very large 17th century L-plan tower, which has a large main block with 5 floors and a round staircase tower that rises to six stories. A wide scale and plat staircase climbs to the first floor, while the rest of the tower is reached through the round tower.